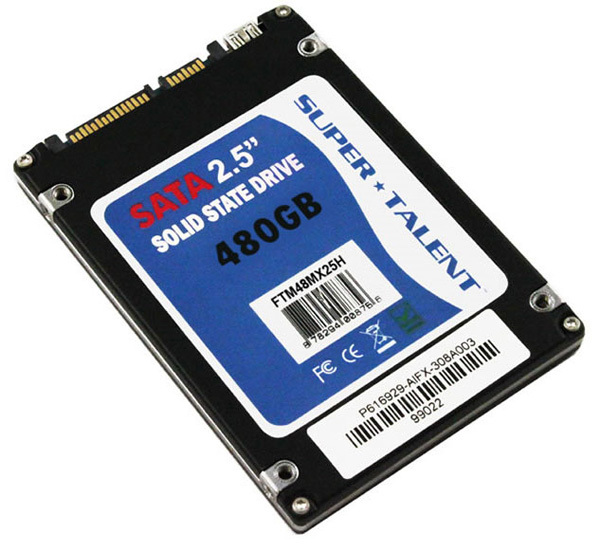 Super Talent adds a 480GB variant to its UltraDrive MX high performance solid state drives lineup. The new 2.5-inch model has a JMicron 616 controller, making use of MLC NAND flash memory chips and has dual interface for both SATA II and mini-USB connections. The SSD drive has internal cache size of 64MB, provides transfer speeds of 250 MB/s read and 180 MB/s write, also supports the latest GC and Trim features, and the dual-interface enables this SSD a great level of flexibility as an internal or external drive, but this flexibility will cost you around $1,200.